The North American Securities Administrators Association (NASAA) has announced that it will implement updates to the Series 63, Series 65 and Series 66 examinations on July 1, 2016. The changes are aimed at better aligning the skills and knowledge required by professionals in the securities industry. The new exam outlines are similar to the current exam outlines, but some significant changes have been made. The weighting of the exam sections has been modified to put slightly more emphasis on the characteristics of investment vehicles and slightly less emphasis on rules and regulations. The passing score has been lowered from 75% to 73%. How will this affect my Solomon Exam Prep products? Solomon Exam Prep will be updating all products offered for the NASAA exams. For those students that currently have materials and are testing after July 1, 2016, we have added an addendum to their Resources folder (located on their student account), that includes all rule changes and updates. Our Online Exam Simulator has already been adjusted to reflect the new changes, so students will see an option to take full exams structured prior to July 1 or after July 1 – this will allow for any and all students to utilize our products regardless of their anticipated exam date. We are always adding new questions to our database and that will be reflected in the Online Exam Simulator. In the coming weeks we will also be releasing a new/ updated digital Study Guide that will reflect the upcoming changes. Any current students will have the option of having their digital Study Guide changed to the new edition at that time, or they can continue to study with our current edition and the supplied addendum. If you have any questions about the changes or our materials, please do not hesitate to call our office at 503.601.0212 or email info@solomonexamprep.com. Check out this month’s edition here: Solomon’s Industry News – September 2015. Customers sometimes ask whether a poor credit rating or a personal bankruptcy could negatively impact their ability to get licensed to work in the securities industry. Here is some information about how your personal financial situation may affect your registration process. First an important caveat: this is not legal advice and, as an education company, Solomon Exam Prep provides this information for educational purposes only. Please consult with a compliance professional to identify and address any issues regarding your situation or your state’s regulations. Always check with your compliance department regarding compliance issues. 1. Be sure to disclose relevant information on Form U4. Form U4 is the registration form for broker-dealer agents and investment adviser representatives. It asks several questions about your history, including some on your finances. Such questions include whether you or a company you controlled have been subject to a bankruptcy within the past ten years. Answer these questions completely and honestly! Failing to disclose this information could jeopardize your ability to work in the securities industry–it could result in a statutory disqualification. 2. You may be denied registration based on insolvency. If the state securities administrator discovers that you are insolvent (meaning that you can’t pay your debts), they may deny your registration if they feel that it is in the public’s interest. 3. You may be denied registration based on your financial history. 4. You may be denied registration for having a poor credit history. Having a poor credit history could result in your registration being denied. Regulators may require applicants to submit balance sheets, and the information on such sheets will be factored into the overall decision of whether to approve or deny your application. 5. Your application for registration will not be automatically accepted if you have financial issues that are required to be reported on Form U4. If you report financial problems on your application, it will not be automatically accepted. Instead, it will be transferred to a manual review process. 6. Once you are registered, you may lose your registration due to poor credit, bankruptcy, or insolvency. Even if you are already registered, you are still required to report certain events by updating Form U4, and your registration is still subject to review when you do so. 7. You may be able to get registered even if you don’t have a spotless financial history. Regulators are looking out for your customers and they want to collect all relevant information so they can stop problems before they start. They will only deny your registration if they feel it is in the public’s interest. If a checkered financial history fit with other red flags, such as a criminal record or a history of regulatory violations, then a denial would be more likely. However, an isolated financial incident would be less likely to cause regulators to deny a registration. Regulators look at each case individually. Note that regulations vary by state, and that in some states regulators will not look at your credit rating when evaluating your application. Certain regulators may also allow you to send your information before you apply, so you can see whether they would accept your application. For more information, contact your state securities administrator. Contact information may be found on the NASAA’s website. Reminder: this is not legal advice and is provided for educational purposes only. Please consult with a compliance professional to identify and address any issues regarding your situation or your state’s regulations. Always check with your compliance department regarding compliance issues. This is a short video overview of what you need to know about qualified dividends for securities licensing exams. To order exam prep materials please head to our main website http://solomonexamprep.com or give us a call at 503.601.0212. For over 10 years, Solomon Exam Prep has been devoted to helping students effectively prepare for various securities and insurance licensing exams. We pride ourselves on our customer service and easy-to-use products that make the studying process as painless as possible. 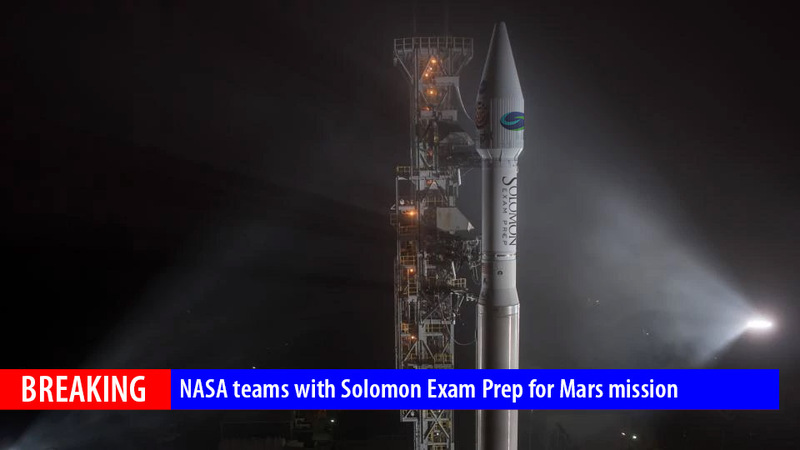 Solomon Exam Prep has recently published a brand-new line of materials for the MSRB Series 51, Series 52 and Series 53 exams. We are pleased to report that our early Series 52 and Series 53 students have all passed their exams! We keep track of our students through BrokerCheck and keep in contact with them via e-mail. “We are excited to announce a 93% pass rate across all of our exams,” said president Jeremy Solomon. We are constantly publishing more materials and updating our current materials, which is how we can maintain such a high pass rate. Our Series 7 boasts a 95.0% first time pass rate, Series 82— 97.4%, Series 55— 96.9%, and Series 63— 93.6% just to name a few. Are you studying for your FINRA, NASAA, or MSRB exams? Order now and be a part of our amazing pass rate! Author ProfessorPosted on April 28, 2014 May 5, 2014 Categories UncategorizedTags brokercheck, FINRA, MSRB, NASAA, Pass, pass rates, Series 52, Series 53Leave a comment on Amazing Pass Rates! 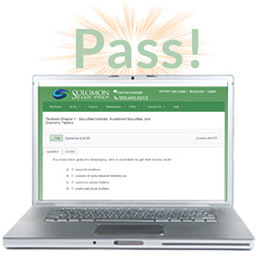 This is a video overview of Solomon Exam Prep’s industry leading Online Exam Simulator. The Solomon Online Exam Simulator is an essential tool in studying for your FINRA, NASAA, or MSRB exam. Solomon Exam Simulators are updated on a daily basis and contain 1,000’s of high quality practice exam questions with detailed rationales. Effective April 15, 2013, NASAA revised its model rules specifying who is considered a “qualified client.” A qualified client may enter into a performance-based compensation arrangement with an investment adviser. The changes bring the rules in line with changes made to federal rules (updates on those changes can be found here). -Clarifies that advisers that are exempt from registration may charge performance-based fees. -Ties the definition of a qualified client to the definition provided by the federal rule. The standard is currently $1 million in assets under management with the adviser or $2 million in net worth, excluding the value of the client’s primary residence. These amounts will be adjusted for inflation every five years. -Clarifies that an investor in a private fund must be a qualified client in order for an adviser to charge them performance-based fees. An adviser cannot simply consider the fund itself a “qualified client” in order to charge the investors performance-based fees. If a fund consists of both qualified and non-qualified clients, the adviser may only charge performance-based fees to the qualified clients. -Put transitional rules into place so that if the rules change, existing contracts will not suddenly be in violation of the new rules. The contract must be in compliance with the rules as of the last time it was entered into, extended, or otherwise renewed. This alert applies to the Series 63, Series 65, and Series 66.